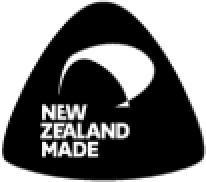 Fencing Systems manufacturers the NZ made premium Alsteel and Defender fencing products. With over 20 years of strong history in producing quality fencing within New Zealand and overseas, we can provide you a free quote on any fencing project where you require a fencing or gate solution. Our national distribution network means we will have a registered installer near you to take all the hassle out of getting and installing your fence. We deal in all areas of fencing and fall protection barriers, from Civil Infrastructure and Cycleways, Commercial and Schools, through to Residential and Pool fencing. Fencing Systems offers a wide variety of security fencing solutions including the Defender range. While the 16mm Alsteel tubular steel fencing is great as a deterrent, the 25mm square pickets are proving to be the real deterrent when looking for a stronger tubular fencing solution. This has been very successful in protecting commercial premises and areas like school boundaries, churchs, retirement homes and enclosed goods holding areas. Fencing Systems specializes in solutions for Civil Infrastructure projects such as Cycleways and fall protection barriers for over passes and under passes. With many NZTA projects completed throughout the country, capability assessment, designer approval and project completion on time and within budget are all taken care of. Fencing Systems Alsteel range will enhance the appearance of any home as well as providing an attractive strong and easy to install surround for any outdoor area. Our national network of distributors can offer you hassle free completion of any fencing project. With a variety of modern designs and finishes you can create a fence that will match your surroundings. Fencing Systems is both New Zealand owned and operated with a strong history of over 20 years producing quality fencing. In conjunction with leading Fencing companies and Fencing contractors we developed the 2 ranges of product that we manufacture today. The "Alsteel" range and the "Defender" range. 2. The ability to "rake", or follow the angle on no level sites, rather than "stepping" each fence panel. With the manufacturing plant based in Hamilton we are centrally located and well positioned logistically for supply, as well as installation, throughout the country. The quality of the steel tube components is 2nd to none and carries a 5 year warranty on both the fence components and the Powdercoating finishes.We also have a national network of distributors that can offer you a hassle free quote, and completion of any fencing project. Fencing Systems Limited's Alsteel range will enhance the appearance of any home as well as providing an attractive strong, secure and easy to install surround for any outdoor area. Our national network of distributors can offer you hassle free completion of any fencing project.